For more than 15 years, Kirkland personal injury attorney Max Meyers has been the voice of the individuals in Washington State who have been harmed physically or mentally by the negligence or wrongdoing of another person or entity. Max has devoted his career to fighting for the rights of those who have been seriously or fatally injured in motor vehicle accidents, and helping them recover the compensation to which they're entitled. What are some types of personal injury cases Max Meyers Law PLLC handles? Being involved in a Washington State car accident can be a life-changing event. If you or a loved one were injured in a King County car accident, or if you're simply looking for information, you've come to the right place. Throughout our website, our Kirkland car accident lawyers share valuable information to keep auto accident victims informed. I was hit by a stolen car, who will pay for my damages? Who has the right of way in a Washington State intersection? What are the comparative negligence laws in Washington State? How can I calculate pain and suffering following a Washington State accident? To find out more about Kirkland accident lawyer Max Meyers, visit his bio page. 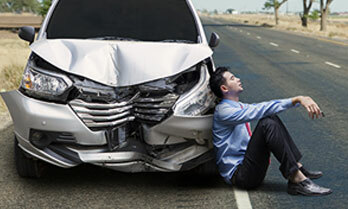 Also be sure to view some of Kirkland car accident lawyer Max Meyers' past auto accident case results. 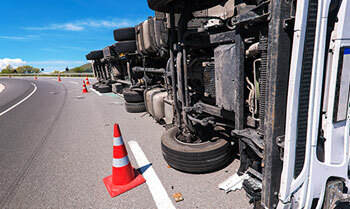 What are the different types of truck driver negligence? What are some common ways that truck drivers are distracted? How can I stay out of truck drivers' blind spots? 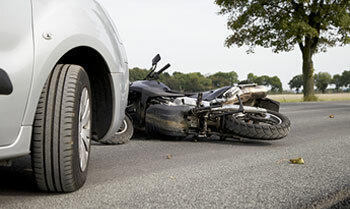 What should I do if I was involved in a Washington State motorcycle accident? Why should I wear a motorcycle helmet in Washington State? How do I file a motorcycle accident personal injury claim in Washington State? Can I make an injury claim in Washington State if I don't have a motorcycle endorsement on my driver's license? How can distracted driving can cause motorcycle accidents? How often can drunk driving cause motoryclce accidents? What are the common signs of a concussion following a bike accident? What are some common (and more serious) injuries following a bicycle accident? How can I prevent road rash following a bicycle accident? What are the pedestrian obstruction and interference laws in Washington State? What can I win in a Washington State personal injury lawsuit? payment for loss of consortium. The type of damages you can receive from a Washington State personal injury claim will depend on your individual case and the types of losses and expenses you've incurred as a result of the accident and injury. Why should I hire a Kirkland personal injury attorney? After an auto accident, you have enough to worry about without having to deal with insurance companies or argue about medical expenses. A Kirkland car crash lawyer can fight the insurance companies for you, so that you can focus on putting your life back together. While you focus on your recovery, your accident attorney will focus on getting you the verdict or settlement you deserve as quickly as possible. What makes Max Meyers Law different? You won’t be just another client at Max Meyers Law. Max Meyers chose to maintain a small Kirkland personal injury practice so that he can provide you with personal service and his full attention. Max Meyers will handle your case personally and speak with you frequently about any new developments. We know that you may be struggling financially after an accident. Max provides a free, no-obligation initial consultation so that you can discuss your case. Additionally, Max Meyers Law works on a contingency fee basis, which means that you will owe no money up front, and the firm gets paid only if you get paid. If you are located in King County, Seattle, or anywhere else in the immediate area, contact Kirkland personal injury attorney Max Meyers today. If you'd like to gather more information about the type of claim you may pursue for your injury, we invite you to request any one of our FREE legal guides here. Looking for a Kirkland Personal Injury Lawyer? Contact Max Meyers Law today! We look forward to serving your needs and ensuring you receive fair compensation for your injuries. If you think you may have a personal injury case in Washington, call (425) 399-7000 to speak with Kirkland personal injury lawyer Max Meyers today! My advice to anyone who has been in a car accident is don’t wait around... call Max right away! He's a man of extreme integrity, an attorney unlike any other you will ever come across. We all need good sound advice without feeling like we are getting the screws put into us! He is up front, honest, and will tell you the truth. What if my damages exceed the at-fault driver's insurance coverage limits? Accidents can lead to serious — and expensive — injuries. While you can recover compensation from the at-fault driver’s insurer, most drivers only carry minimum car insurance coverage. If your accident-related damages exceed insurance coverage limits, you may have other options to pay for your damages. How Do I Get A Motorcycle License In Washington State? Your first option is to pass a knowledge and riding skills test. The knowledge portion of this test will simply measure your understanding of the state’s driving laws and how to safely operate a motorcycle. What is PIP insurance? Should I use it after a car accident? PIP is short for Personal Injury Protection. PIP is an insurance coverage contained in most Washington auto insurance policies. 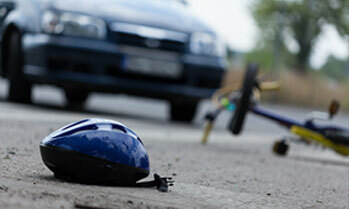 Bicycle/Pedestrian Accidents: Who Is Liable If A Bicyclist Struck A Pedestrian? Liability for a bicycle/pedestrian accident works the same as any other type of accident in Washington state. Pure comparative negligence rules mean that each party involved in an accident between a bicyclist and a pedestrian will have their degree of fault assessed and their right to recovery reduced accordingly. In an accident where a bicyclist hits a pedestrian, each party is potentially liable for the crash. Therefore, each party must present evidence to prove the other party was more at fault for causing the collision than the other. Who Has The Right Of Way At An Uncontrolled Intersection In Washington? "When two vehicles approach or enter an intersection from different highways at approximately the same time, the driver of the vehicle on the left shall yield the right-of-way to the vehicle on the right."